If you use the iGoogle customizable start page to monitor RSS feeds and view gadgets, you already know that Google will "retire" it on November 1, 2013. Now that you're looking for another free service to take its place (especially one that isn't an overcrowded page full of advertising), igHome is about as close to iGoogle as I've found. has a ton of free gadgets you can add to your start page. 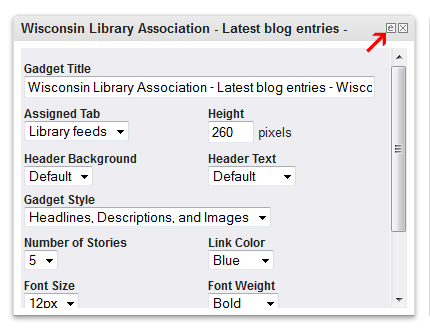 Click on the Sign In To Personalize button in the upper right-hand corner. At the Register or Login window, click Create a New Account. You can delete any you don't want to keep, and click on the Add RSS Feed or Add Gadgets buttons. 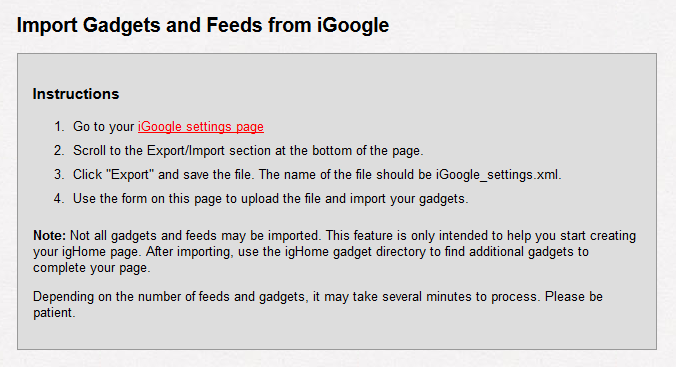 Now follow the steps to export your iGoogle settings so you can import all your RSS feeds into igHome. It's a good idea to right-click the link for iGoogle settings page, so you can refer to the igHome instructions on a separate tab. Note: Not all gadgets and feeds may be imported. This feature is only intended to help you start creating your igHome page. After importing, use the igHome gadget directory to find additional gadgets to complete your page. You can edit any RSS feed's widget — just click in the upper right-hand corner of a pane, and you can adjust change the height, style, number of stories, etc. You can rearrange the widgets just by clicking & dragging them around on the page. Want to add more? Click on the Add RSS Feed or Add Gadgets buttons. Contact me if you need any help setting up and configuring your new igHome start page! I have added widgets to my ighome home page. I use this on my new ipad. How do I drag widgets to change their position on the homepage? Thank you for quick response. I will investigate.